These magnetic album refill pages are for the Pioneer TR-100 photo albums. Hold all size prints up to 5"x7". 3 holes spaced 4-1/4 apart. These magnetic album refill pages are for the Pioneer TR-100 photo albums. 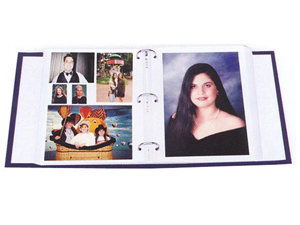 Hold all size prints up to 5" x 7"
Usable page area: 7-3/4" x 10-3/4"